I don’t know if it’s ever been said that a clown is the heart of circus, but it sure rings true. It seems a clown’s job is not only to move an audience toward laughter but also to represent the humanity of circus and project that for us to be reminded of our own. Circus artists can be not only strong acrobats, graceful dancers, quick jugglers, and smart magicians but also vulnerable people like you and I. Empathy—this is perhaps what clowns help us feel, that although we are each unique, we actually are not so different from one another. Jeff Raz is a master clown teacher and performer. So when I heard he had written a book on clowning, I thought it must contain not just an entertaining look into a clown’s life but also valuable insights on the sap of life that flows deep in all of us. Besides having founded the San Francisco Clown Conservatory, which he directed for 10 years, Jeff has performed with Cirque du Soleil, The Pickle Family Circus, Vaudeville Nouveau, and Make*A*Circus. 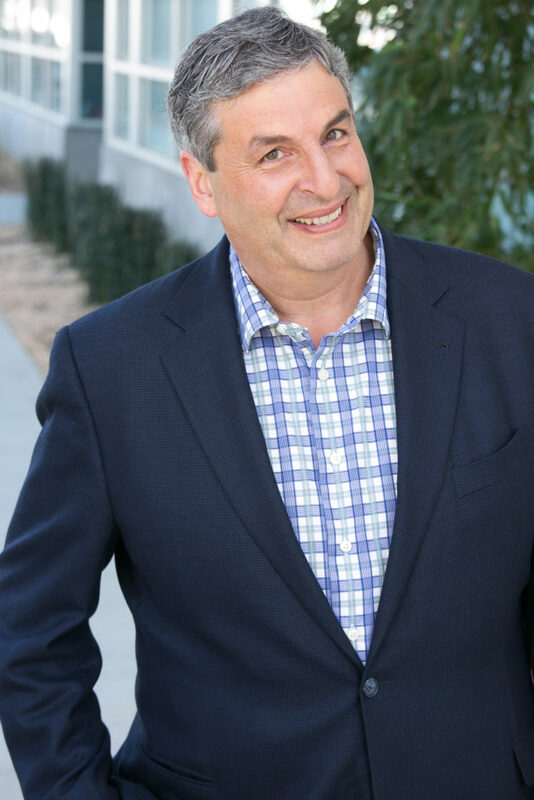 Jeff is the Bay Area Casting Partner for Cirque du Soleil, the Artistic Director of the Medical Clown Project, and a director with the consulting firm Stand & Deliver. Now he can add author to his long list of achievements with the book The Secret Life of Clowns, which launched at the 2017 Smithsonian Folklife Festival to an enthusiastic reception. The storyline follows the fictional Clown Conservatory student Jake, who isn’t sure that he’s made the right choice by forgoing graduate school for a shot at circus life. Each chapter dedicated to Jake’s journey includes a clown lesson focusing on technique and ends with Jake’s journal outlining takeaways. In chapters interwoven throughout Jake’s story, readers are shown the techniques put into action by the Director—a character depicting, in Jeff’s own words, “100% the truth of how I felt as the director of the school and how I felt as a performer in Corteo.” These anecdotal reflections share backstage and onstage relationships, emotions, and fears during the Director’s coveted role as the lead clown character in a touring Cirque du Soleil show. 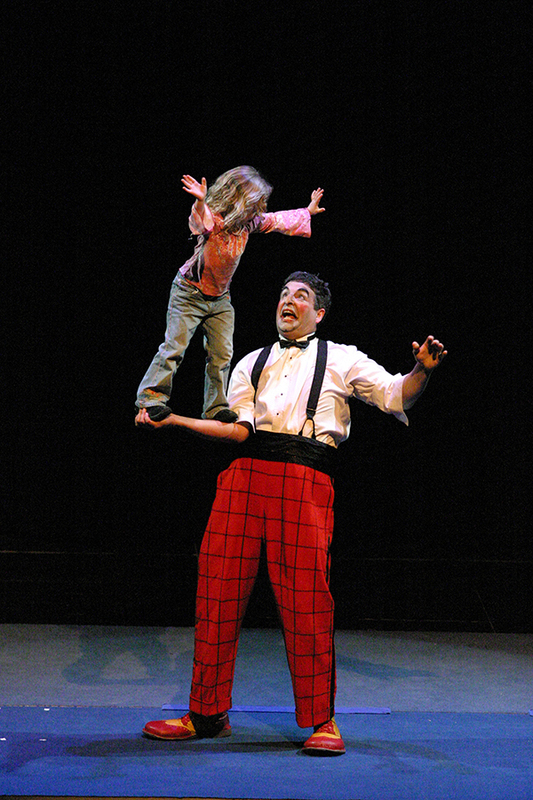 A third section of the book spotlights professional clowns and conveys solid advice, anchoring Jake’s and the Director’s experiences to the real world. Have you ever tried to keep only what you need, avoid unnecessary drama, or minimize your carbon footprint? Most of us have tried, and it’s often downright difficult. Sometimes we even complicate our lives by the choices we make. Jake narrates the trials and tribulations of the Clown Conservatory students, fresh and full of ego, on Day 1 of the program during the exercise “Hi, my name is…” The students are instructed to simply walk on stage, introduce themselves, and walk off. Most choose to put on a show, add flare, or give themselves character names, missing the point of the “hardest exercise” they’ll ever have to do. Simplicity is an art, the Director suggests, and to master the simple and make magic of it requires learning techniques, practicing them, and putting them into action again and again. The Director points out to his students that there’s never a shortage of tragedy in their lives, which becomes obvious in the personal stories they tell one another during a workshop. Translation? Not every day is a good day, and that’s life. Perhaps this is why the good becomes then vital to work toward and let shine through so that the bad doesn’t overpower—formula for great living? The Director warns us, however: “Get too much comedy, and it may be funny but it won’t move our hearts.” So, the tender balancing act ensues perpetually. At its core, clowning mirrors our flawed but all together pretty wonderful humanity. The Director explains how a golden mistake, an unforeseen snag, offers the clown a chance to make an act even better. For example, during a city market stop, Jake juggles oranges playfully for a little boy but drops one. What can be seen as a flop becomes an opportunity to try again and entertain his captivated, impromptu audience. If we use our shortcomings in life to improve or change direction rather than perceive them as failing at perfectly attaining the initial goal, deeper connections and maybe even a redefinition of perfect are possible. The Director insists if learners get out there and do what they do best in front of others, they’ll be rewarded by the experience. From his golden mistake, Jake learns that to be a better clown means to put himself out there, to remain open to rejection, and to embrace vulnerability. When taking on something new or unknown, showing up is often the hardest first step and usually enough to make all the difference, no matter what happens after that. SCB: To answer Jake’s question, what does it take to get a job in the circus? JR: For students, they had to hustle. We spent the entire third term looking outward and part of that was the students creating marketing materials. And it takes people working on your behalf. And you have to answer your email. SCB: What do you look for in an artist when scouting talent? JR: I try to figure out what’s their sparkle and where that’s going, but that’s kind of entry level. I assume they’re great. Then what I want to see is: Are they disciplined? Do they respond to emails? Is this someone I can work with for the next 30 years? Is this someone I can recommend and feel comfortable with that? SCB: Advice to aspiring clowns? JR: Be in front of audiences, and really be a sponge. SCB: Can a white clown be a red clown and vice versa? JR: Sure. It’s technique. Do you want to? Not necessarily. But I think for students it’s really important to try both. And sometimes it’s really surprising. SCB: Mask character you gravitate towards? JR: I love Stupina, which is a modern female mask, partly because it’s a slow mask. She’s a wallflower: “You love me? You hate me!” It’s so simple but great. JR: Roberto Benigni’s Life is Beautiful. He’s brilliant. The combination of tragedy and comedy. He’s got that lightness, and he’s not afraid to take on really tough stuff. 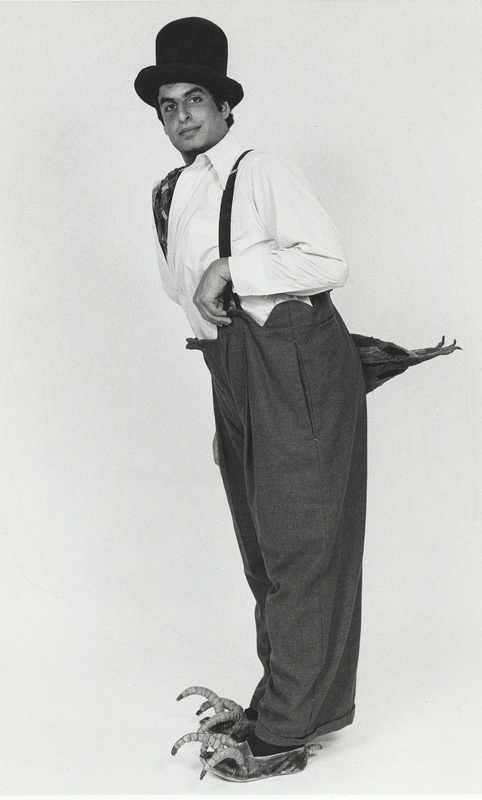 JR: Growing up, Bill Irwin. I got to watch Bill a lot in rehearsals and in shows. I think I was lucky. I could never be Bill, but I tried real hard. Even when I get 1/10th of his grace, it looks odd on this body. SCB: Any must-do pre-show rituals? JR: I have to connect, so I will always try to be with folks. I do all the transitions; I’ll carry props; I’ll do whatever is needed so I can be with the audience to give me a chance to connect. If I’m backstage getting disconnected, then it doesn’t work. SCB: Favorite food on tour? JR:In Singapore there’s these dumplings that are round and essentially have peanut butter in them. The first time I took a bite of one, I must have made some weird noises. SCB: Most fun place on earth? JR: Backstage. It’s us chickens, we’re rockin’, all of us are so different from each other, we’re goofing around, and we still have three hours before we have to do the show. SCB: Best audience for clown? JR:Italians, Absolutely. What we found there that the audience was just as professional as we were. It sounds like hyperbole, but you could feel that unbroken chain from commedia dell’arte. So we are in this little village in Italy in the city’s festival day. There’s a guy selling a pig next to us, and there’s a giant onion stand. I’m on a raised platform in the middle of the street just like commedia 400 years ago. The audience is standing, and they are just so into it. There’s a woman down left with a dog, and I’m the three. Every time I cross down left through the juggling pattern she holds up the dog and says, “Kiss the dog.” And I’m not kissing the dog. But the audience knows, she knows, he’s gonna kiss the dog…but we’re going to play this game. So all I have to do is this [side kiss move] to get the laugh but keep going through. Finally, my pants fall down while juggling clubs, I turn around, the others do the big pile up, and then I come over and kiss the dog. We all knew it…we were just in it together. SCB: What gives you hope? JR: It’s a cliché, but the students I get to work with and my own kids give me hope.